Publishing to YouTube is easy. All you need is a YouTube account and a video file. First, sign in to you account at YouTube. 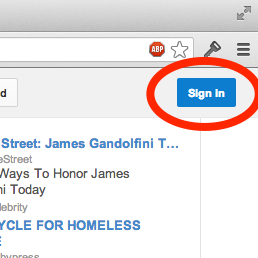 After you sign in click the Upload button near the top of your browser window. 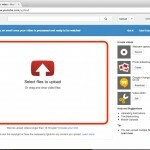 On the upload page you can drag your video file directly on to you browser window to start the upload. 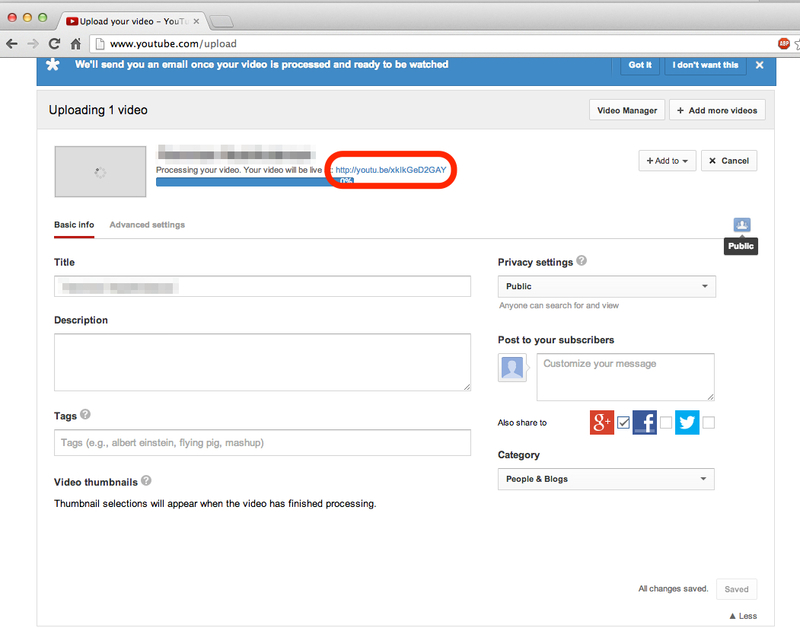 While the video is uploading be sure to edit its name, description, tags, and category. The more descriptive you are the more likely your video will be found. 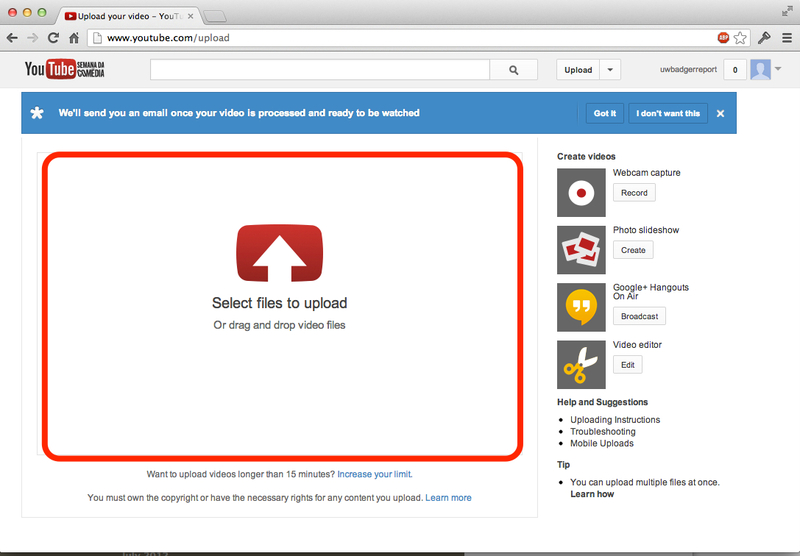 The URL for your video will be shown next to the progress bar (circled in red in the image below). You will need this link if you are posting to WordPress so copy it.